Bio: Stephanie Filer has served in professional non-profit development roles since 2005. In 2010 she joined the Animal Rescue League of Iowa and now oversees the development staff who are responsible for all fundraising and marketing for the organization. She has presented locally and nationally on social media marketing and fundraising as well as on breed-neutral marketing and advocacy. Stephanie has been instrumental in removing breed regulations from city ordinances and other corporate policies to help them become more pet-friendly for all dogs, while also enhancing public safety. She is a graduate of both the Greater Des Moines Leadership Institute and Leadership for 5 Seasons and was recognized as the Corridor Business Journal’s Forty Under 40. 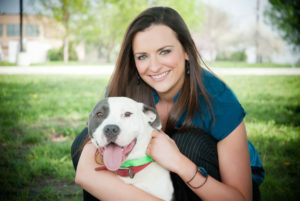 Stephanie is a member of the Society of Animal Welfare Administrators and the Association of Fundraising Professionals. Available for: Consulting, speaking engagements, webinars, consulting, free-lance, guest blogging.